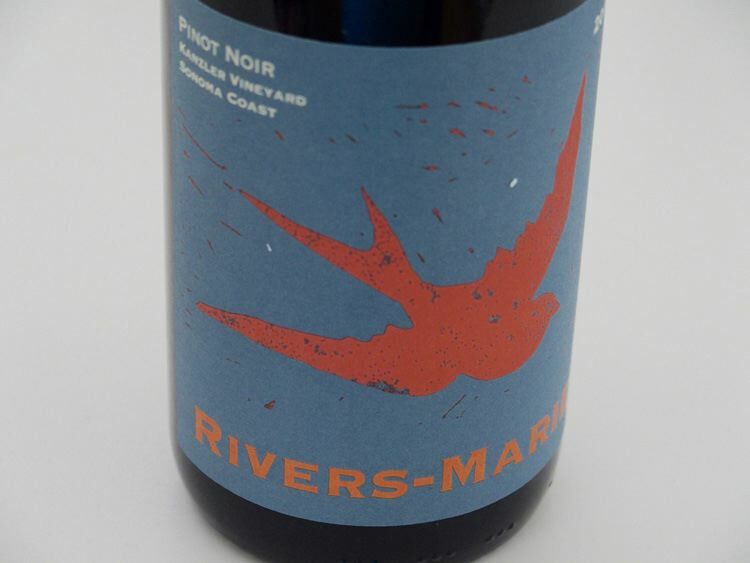 As was the case for many California Pinot Noir producers in 2015, quantities at Rivers-Marie were tiny. Pinot Noir production was off 70% of early season projections. Owner and winemaker Thomas Rivers Brown said that the 2015 wines reminded him of his 2005 wines. “The concentration was unusually high that is only achieved by naturally occurring low yields. Weight without heaviness is the overreaching characteristic of the 2015 vintage. The shorter growing season allowed the fruit to retain plenty of natural acidity.” Allocations were tiny and if you were not on the mailing list, you won’t be able to acquire these wines. However, 2016 saw a return to normal for yields so there will be more wine available. Visit www.riversmarie.com to join the allocation list. I found the 2015 wines to be pumped up, highly concentrated wines with significant but deft barrel work. The wines are fruit driven and hedonistic in a plump and showy way with minimal savory aspects. They are technically sound, but at this early age, do not deliver as much charm and nuance as they undoubtedly will over time. Consider my scores conservative based on the youth of these wines. In addition to the wines reviewed here, in 2015 Rivers-Marie offered a Sonoma Coast Chardonnay (300 cases, partial malo, Joy Road, Thieriot, Riddle and Lucky Well vineyards), a Joy Road Vineyard Sonoma Coast Chardonnay (100 cases), B. Thieriot Vineyard Sonoma Coast Chardonnay (90 cases), Sonoma Coast Pinot Noir (450 cases, produced from almost every vineyard grapes are sourced from), and Summa Vineyard Sonoma Coast Pinot Noir (55 cases, 1 ton off of 3 acres, abysmal set). In 2016, Rivers-Marie added Platt Vineyard for both Chardonnay and Pinot Noir. Thomas has also entered into a lease agreement with Max and Lexi Thieriot to plant 5 acres of Pinot Noir on their new home site in Freestone, a location where several high profile vineyards dot the surrounding hillsides. The first fruit from this new vineyard will be available in 2019 or 2020. 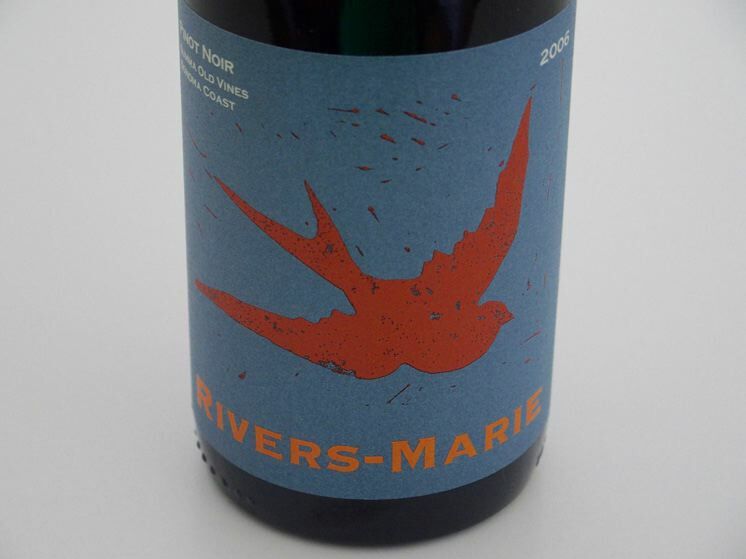 I reached into my cellar to taste a few older bottles of Rivers-Marie Pinot Noir that have been impeccably stored. I have found that many readers are interested in reviews of older California Pinot Noirs since there is very little of this information available in the wine press. 14.1% alc.. · Moderately dark reddish purple color in the glass. Off aromas of root beer, medicine cabinet and oxidative notes. The mid weight core of black fruits has noticeable nutty and toasty oak support. There is a hint of rubber that spoils the experience. Flawed. Not rated.